A country with 1100 islands, ring reefs with its own sandy lagoon and the abundance of beautiful fish makes Maldives an infinite paradise. When I say it is a paradise it means this country is naturally supported and is lucky to have excellent weather conditions to be able to sustain its beauty. It is located outside the normal cyclonic zones and thus violent storms are rarely been experienced. 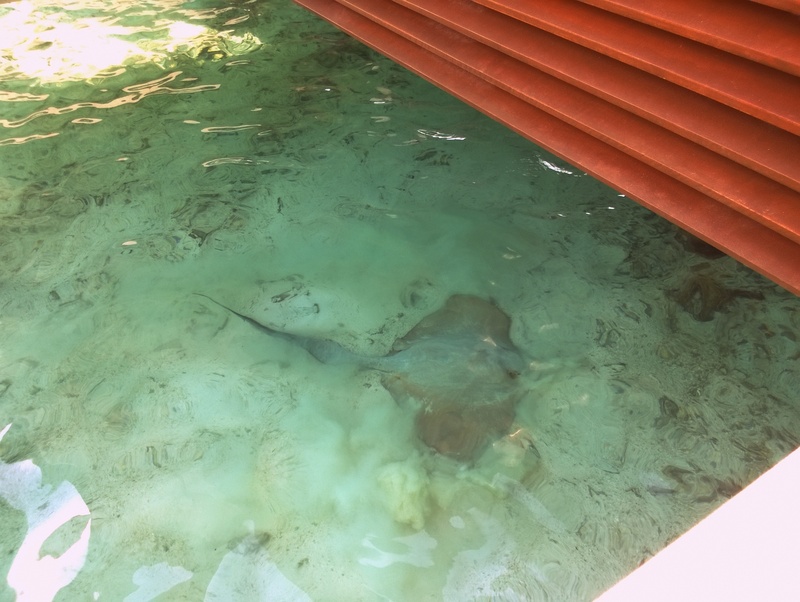 Not only that, since there is any absence of rivers on these islands sediments from inland sources are almost nil and hence the waters around Maldives are very clear and exhibit ideal conditions for coral growth. Hence I call it a wonderland of colours and textures! 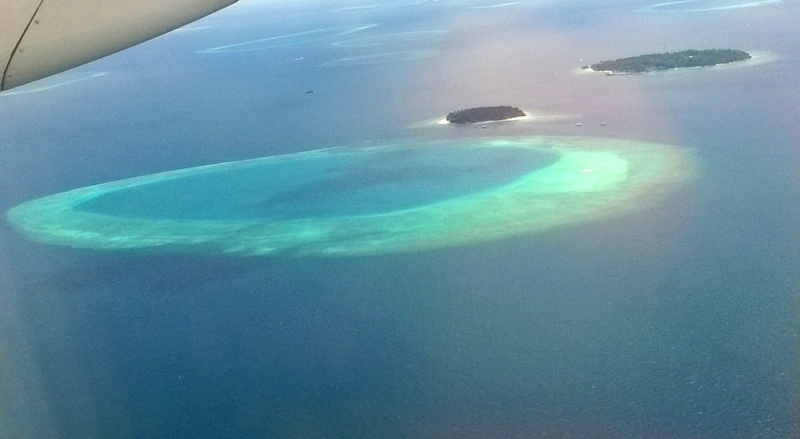 While flying over these islands, we noticed circular stretches of lagoons still submerged under the sea leaving behind an azure colour to them. I was a bit confused because they didn’t seem like islands yet they were shallower then the rest of the sea. I wondered what that was. 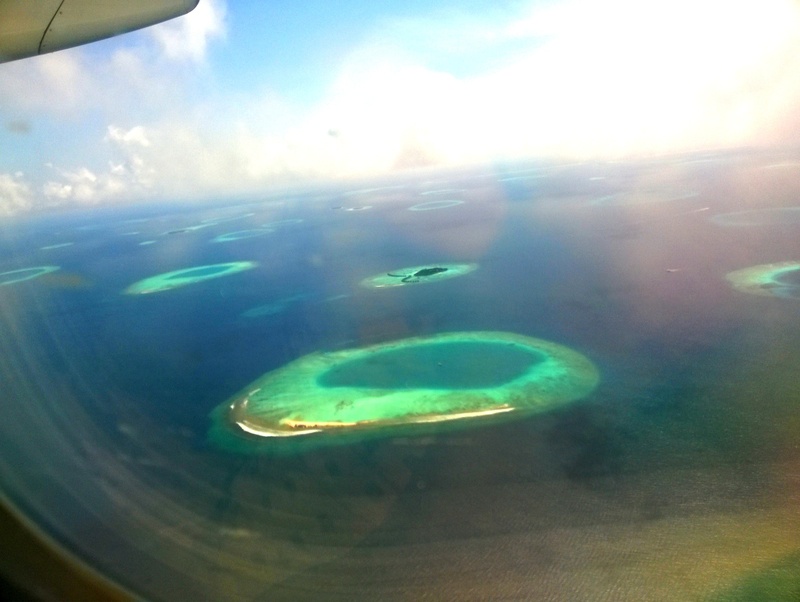 It seems that they are atolls. They form borders along the shoreline and surrounding islands even though they may be submerged under water. When a fringing reef continues to grow upward from a volcanic island that has sunk entirely below sea level, an atoll is formed. 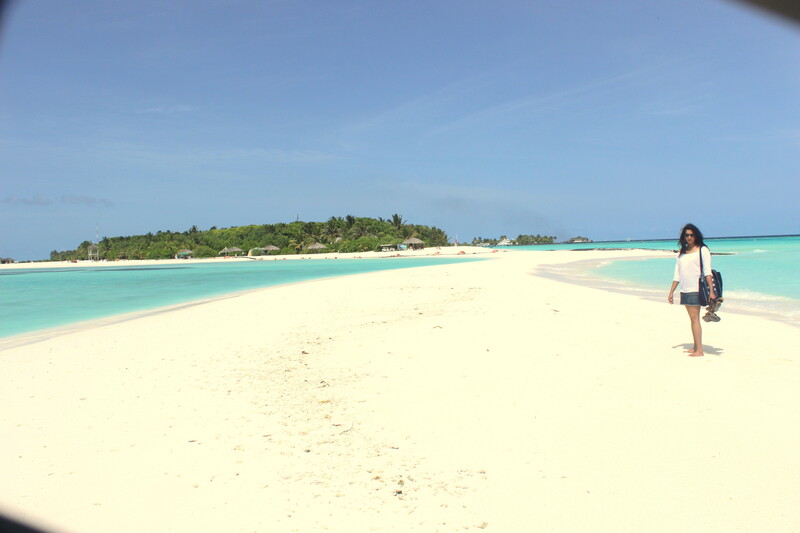 Atolls are usually circular or oval in shape, with an open lagoon in the center. 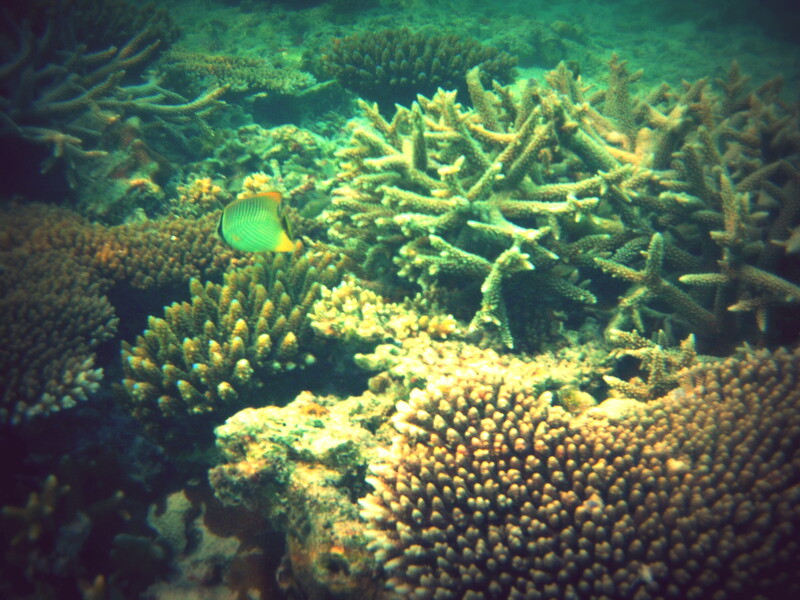 They looked so enigmatic and alluring and it was unbelievable because they are a pile of dead coral. 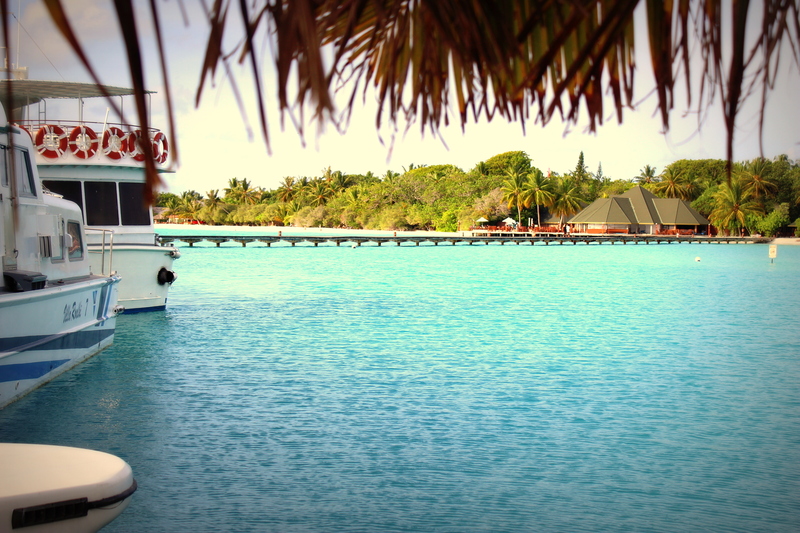 We visited the Maldives dreaming about water activities we would do, our preference for scuba over all the others. 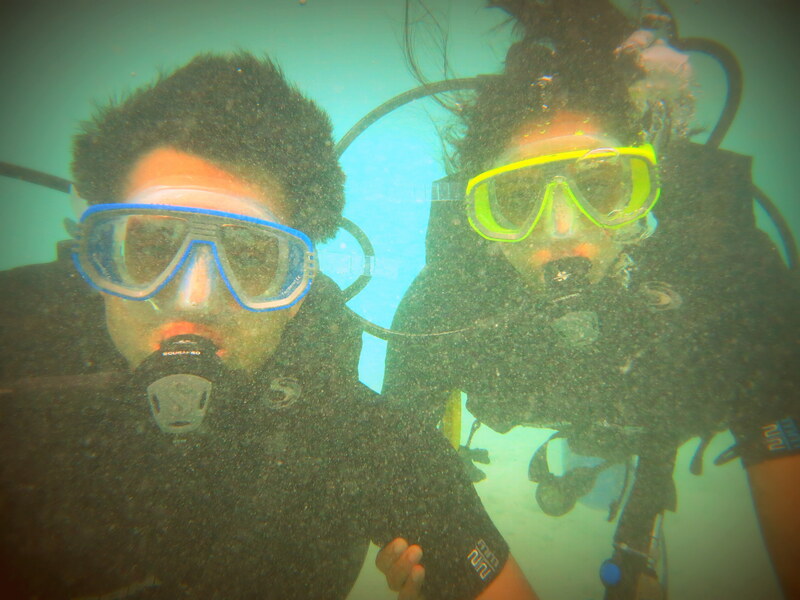 The idea of the dive thrilled us more than what we were going to see because it was beyond our imagination. These islands in the Indian Ocean are not only coral-fringed with their cyan waters but have a rainbow-coloured coral reefs below its surface. 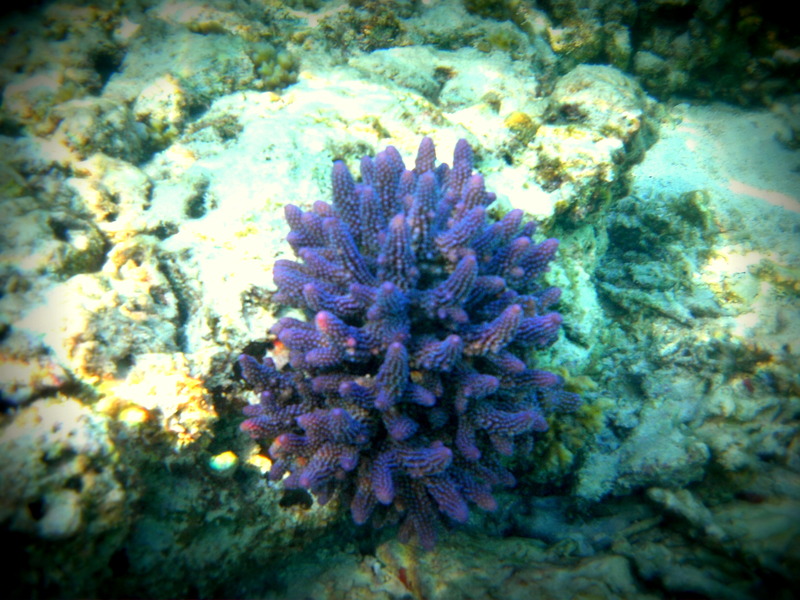 Since we had snorkeled in the Hawai’i islands, we were equipped with a simple yet a very handy water camera. We tried capturing most of what we saw though the pictures still don’t do justice to its beauty. 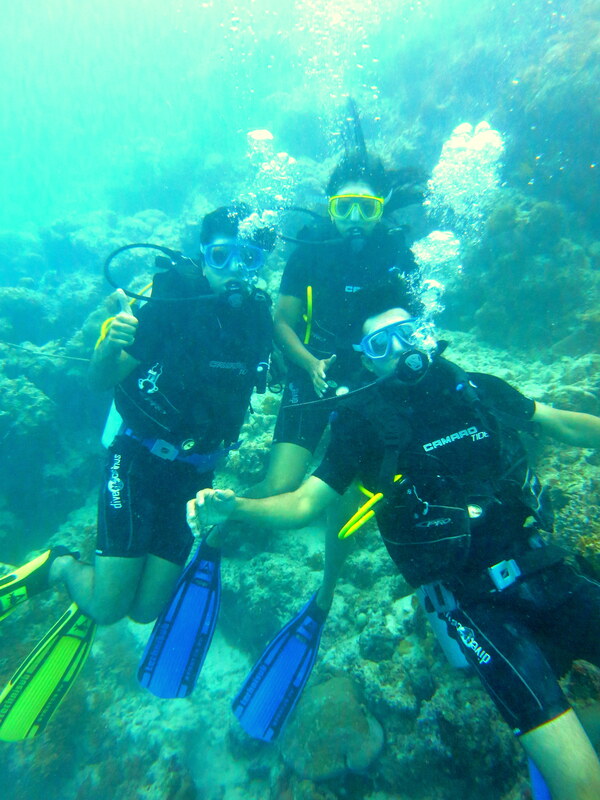 So started our scuba dive in the shallow sea and we were further going to be taken into the Banana reef to be able to witness what gardens of the sea are. In our minds we worried about being able to handle breathing through our mouth and handling the equipment and the depths of the sea over what we would actually witness. 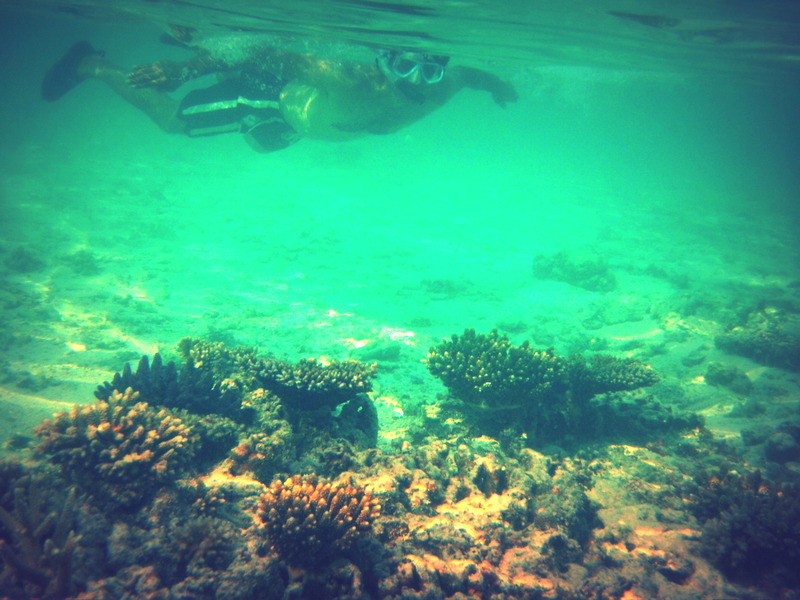 Slowly we swam further towards the reef… slowly forgetting that breathing became less relevant than the forthcoming beauty of the sea bed. Unawares came a steep valley…the reef with the azure blue of the sea changing to the shades of cerulean and thats when it dawned upon us that we will be going deeper and beholding an unimaginable reality. 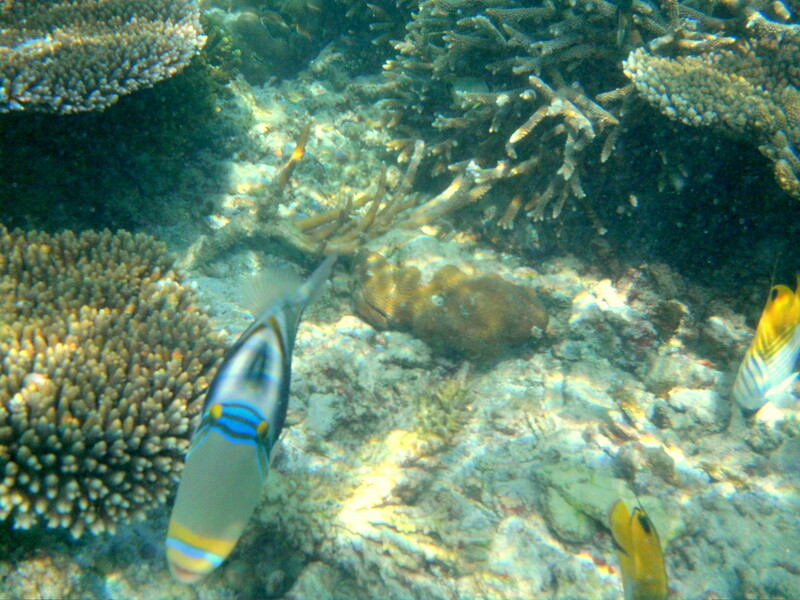 As we descended slowly into the deep sea, we saw bewildering array of fish of course, with imaginable colours, shapes and sizes darting in and out of the corals. We also saw various corals with breathtaking designs over them… some like a brain, some more like spike noses and some like ferns with pinks, magentas and oranges. It was so incredible, nothing mattered at that time. Just looking at every being under these waters and conceiving how magnificent this is, made us want to live there our whole lives! 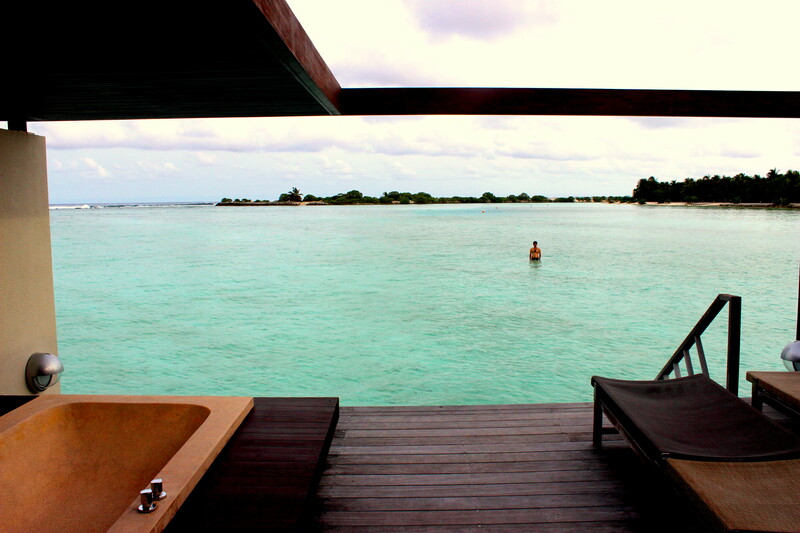 A day after we scuba dived we shifted our room from the beach villa to the water villa. Basically a room with a private deck constructed in the sea. 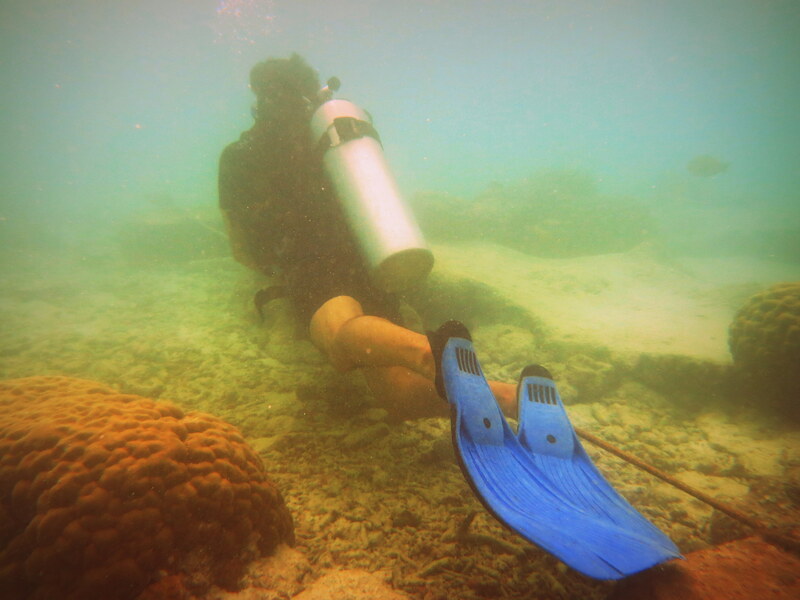 So when you looked down, you saw corals, dainty fish, small reef sharks and the rays fly and glide through the sea. 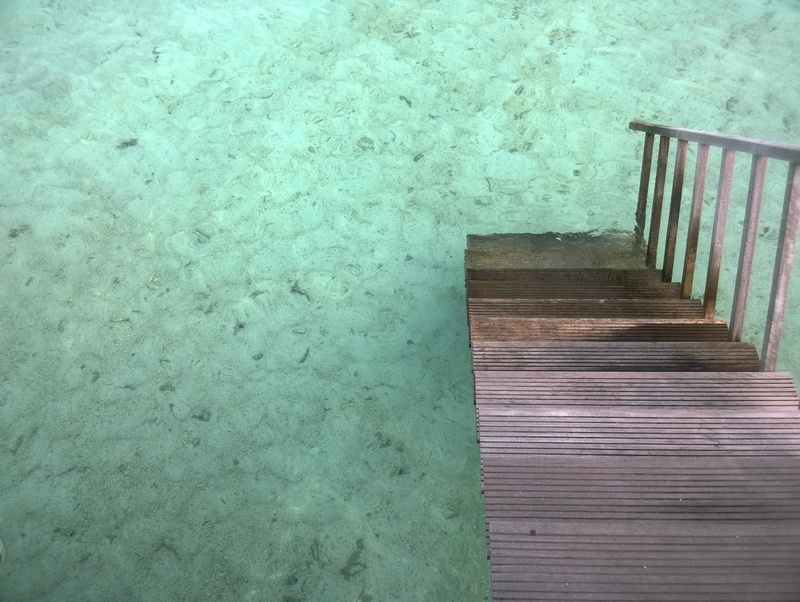 Our deck had a private staircase which lead us in to the sea and the whole two days we swam, snorkeled and covered every coral around that area. There wasn’t a single undersea garden we wanted to miss. It was a vacation which promised never-ending romance, infinite horizons of kaleidoscopic blues, hundreds pristine corals, a beautiful reef which teemed with life. This place is indeed a real stunner.